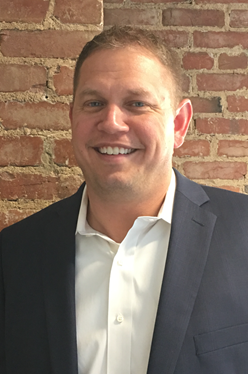 Joe Neuerburg (JQN Companies) is PACE Sage Capital’s Managing Director for Kansas and Missouri (excluding the St. Louis Metro Area). Joe has spent over twenty years building relationships throughout the country within the commercial real estate industry. During this time, he has been involved in both underwriting and originating over $1 billion of loans for various real estate projects, including land, development, construction, bridge, mini-perm, and permanent financing. This includes residential, multifamily, assisted living/memory care, office, retail, industrial, self-storage, and hotel properties. Joe is expanding his relationships while strengthening existing ones, to source debt and equity for commercial real estate developments and investments as well as identifying off market properties and notes for sale. PACE and IDEAL™ are additional financing solutions that Joe can offer to his and PACE Sage Capital’s growing client list. Joe serves as an Advisory Board Member for the Department of Economics, Finance and Marketing at the University of Central Missouri, and was a former Budget Counselor for Hillcrest Hope Transitional Housing. In October of 2016, he and his wife co-founded a non-profit organization, Isaac’s Dream – www.isaacsdream.com – to build a school, housing, a medical post, and two wells in Ghana, Africa. Joe, 45 and his wife, Robyn have four children and reside in a suburb of Kansas City.